This is a collection of my thoughts, dreams, and idle wisps of sanity. Due to my mood, or passion of the day...I may not be reponsible for what is consisted in my mind's work. May none be offended by any ramblings in this ornate site! 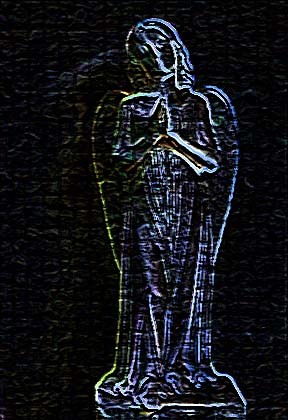 Thanks to Doug Greene for giving me the angel picture to play with...My Angel thou art! Thanks to my husband, Harley for all his hard work in helping me with this page...I could have not done it without you!